A decline in tech shares pushed the major indexes lower on Monday as Wall Street tried to regain its footing after last week’s sharp losses. The S&P 500 dipped 0.6 percent to 2,750.79 as the tech sector fell more than 1.5 percent. The tech-heavy Nasdaq Composite dropped 0.9 percent to close at 7,430.74. 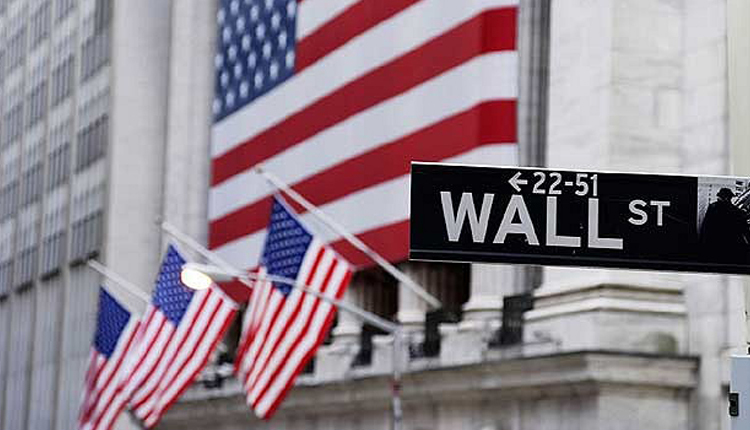 The Dow Jones Industrial Average closed 89.44 points lower at 25,250.55. Chipmarkers also fell. The VanEck Vectors Semiconductor ETF (SMH) declined 1.1 percent, led by a 4.5 percent decline in Nvidia. The major averages gyrated between positive and negative territory throughout the session. At its high of the day, the Dow rose as much as 142.43 points; it also fell as much as 96.11 points. “You have an oversold condition and the market knows it should try to find a bottom,” said Robert Pavlik, chief investment strategist at SlateStone Wealth. “But you have a crosscurrent of factors that’s preventing it from doing that.” These factors include interest rates and earnings, he said. “Valuations are attractive, but this crosscurrent keeps people from feeling like this is a bottom they can trust,” Pavlik added. The major indexes registered their worst weekly losses since March last week as interest rates jumped to multiyear highs. The 10-year Treasury note yield rose to 3.261 percent last week before trading around 3.15 percent on Monday. Investors fretted that a sharp rise in yields would lead to higher borrowing costs and ultimately slow down the world economy. Both the S&P 500 and Dow dropped more than 4 percent last week. The Nasdaq fell 3.7 percent. The S&P 500 also posted a third consecutive weekly loss, its longest such streak since June 2016. Those declines were largely led by technology stocks, which had their worst week since March after falling 3.8 percent as a sector. The recent moves come as the latest corporate earnings season kicks into high gear. Netflix, Morgan Stanley, Johnson & Johnson, Procter & Gamble and Honeywell are among the companies scheduled to release third-quarter earnings this week. Bank of America reported better-than-expected earnings and revenue on Monday. The stock, however, fell 1.9 percent. Expectations for this earnings season are high. Analysts polled by FactSet expect third-quarter S&P 500 profits to have expanded by 19 percent on a year-over-year basis. In data, retail sales rose just 0.1 percent in September. Economists polled by Refinitiv expected a gain of 0.6 percent.